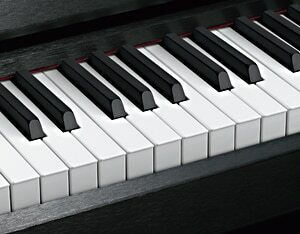 With its beautiful form evoking an impression of dignity and stability and its overall height equivalent to a grand piano's, the GP-400BK gives pianists the sensation and visual perspective of performing on a grand piano. Strict attention to detail, such as installation of an appropriately wide music stand and construction with thick legs and other components, adds further luster to its value. 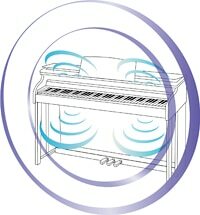 The various types of resonance in a grand piano are crucial to the playing experience. The CELVIANO Grand Hybrid incorporates String Resonance, which exposes the harmonic relationships between various strings when keys are struck. Also Damper Resonance reproduces the resonance occurring when a damper pedal is pressed. In the case of the GP-400BK, Open String Resonance and Aliquot Resonance add realism. 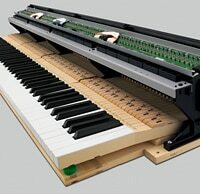 CASIO's Resonance System reproduces the resonance of both the strings and sound board of a grand piano by selecting, controlling and synthesizing according to performance conditions. 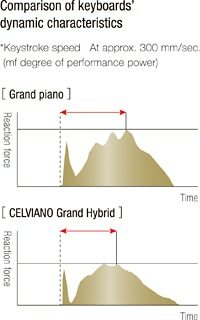 By continuously sensing and detecting the position of the damper pedal, CASIO’s Grand Pedal System enables fine-tuning of the damping volume and note length depending on the degree of pedal depression. In addition, the Half Pedal Position function permits adjustment of the depression position at which the damping effect comes into play according to the player's preference. 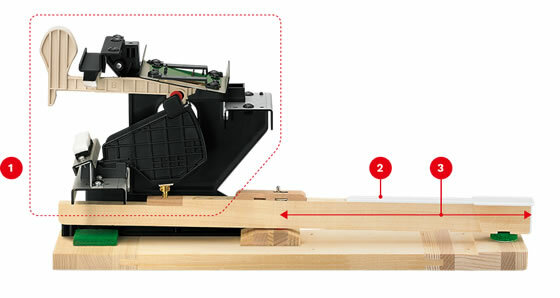 The Action Sound System’s Damper Noise and Pedal Action Noise features, in the case of the GP-400BK, reproduce even subtle operating sounds like that experienced with an acoustic grand piano. 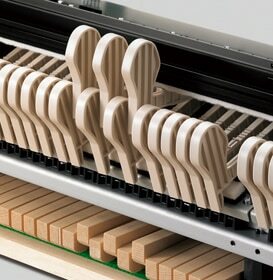 The GP-400BK model has an additional feature allowing the player to design or select Scenes. You will enjoy customizing your own Scenes by selecting a type of piano, a Hall Simulation and any desired effects. 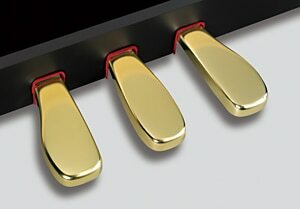 CASIO has also created several inspirational preset Scenes. These thoughtfully designed examples let you interact with the history of piano music. Select the name of a famous composer, and you will be presented with an instrument customized to suit their music and a venue where their music might have been performed. 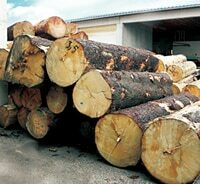 Available with the GP-400BK. 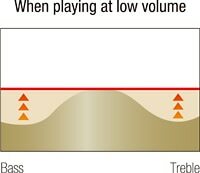 This feature provides the most suitable sound environment to the music performers select to play. The Scene can be created by various combinations of tones, effects and reverberation levels. 15 different Scenes were designed as preset settings according to such themes as composer, musical genre and venue. Users can also customize Scenes and register up to ten of favorite settings. 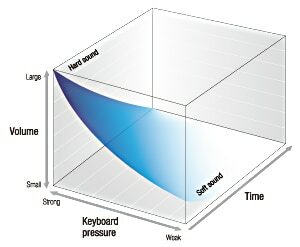 The layer function enables pianists to overlap two types of tones, while the split function lets them separate tones into lower and upper blocks. Speakers 2 x 6.3"+ 2 x 4" + 2 x 2" 2 x 6.3"+ 2 x 4" + 2 x 2" 2 x 6.3"+ 2 x 4" + 2 x 2"
Cabinet dimensions 57" x 19" x 38" 58" x 19" x 39.5" 57" x 19" x 38"